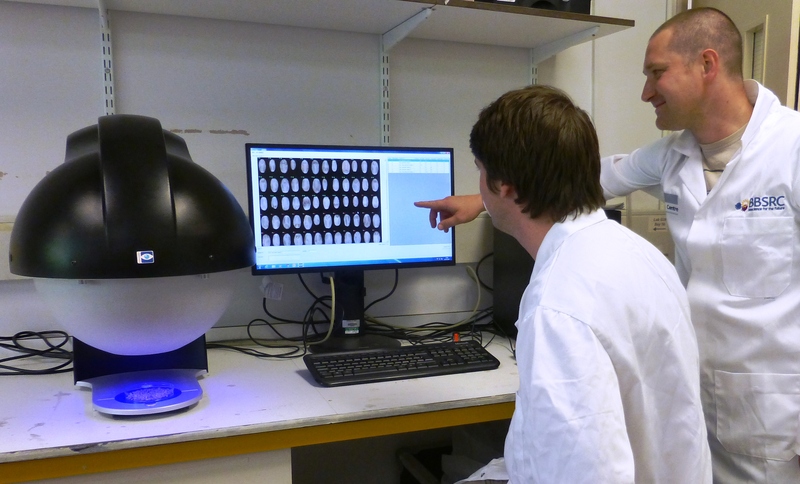 Cambridge, UK, 30th June 2015: Analytik report on the work of researchers at the John Innes Centre in Norwich. The Videometer VL3 multispectral imaging system provides high throughput screening of wheat samples. The BBSRC, the Department for Environment, Food and Rural Affairs (Defra) and HGCA, the cereals and oilseeds division of the Agriculture and Horticulture Development Board (AHDB) are funding a LINK project “A 'breeder's tool kit' to improve Hagberg Falling Number1 for the economic and environmental sustainability of UK wheat” in collaboration with four breeding companies in the UK and Europe to genetically map and understand the mechanisms of six previously identified QTL segregating in UK germplasm. The research group of Cristobal Uauy within the Department of Crop Genetics are working on ways of screening wheat samples to improve parameters such as yield, nutritional value and quality. Research scientist, James Simmonds, takes up the story. “Our research focuses on the study of quantitative variation in wheat for agriculturally important traits. These are characterised by their dependency on the environment and the multiple genes that control them (known as quantitative trait loci (QTL)). We aim to understand the molecular mechanisms underlying these traits and to identify the genes underlying the QTL and facilitate their effective deployment into modern breeding varieties.” In depth phenotyping can be very time consuming and one of the group’s goals has been to find a faster way of screening to enable increased throughput, greater statistical evaluation and aid in interpretation. To this end, the JIC has invested in a VideometerLab 3 multispectral imaging system from Analytik and, together, have been developing protocols for screening.